Last spring we had the honour of having a very special guest at Odyssey: Mister Giorgos Pittas from the well known and amazing website Greek Gastronomy Guide. 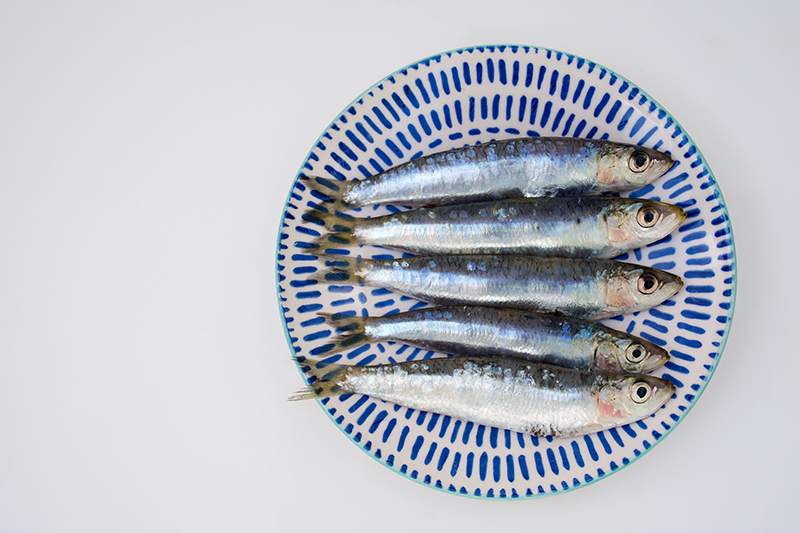 We shared a delicious Greek breakfast, as Mister Pittas joined us in the kitchen while we made a very special recipe for him: Grilled sardines in grape leaves with lemon-sauce. The Greek Gastronomy Guide (www.greekgastronomyguide.gr) is a website that aims to promote Greece through it’s gastronomy. Mister Pittas travels all over Greece and records all the known and less well-known recipes, tastes and idioms of Greek gastronomic traditions, especially from every day life. On his site you can find your way through all the characteristics that shape the gastronomic environment of different regions in Greece; The history and tradition of the local gastronomy, festivals, products and producers, local markets, dishes, places and landscapes, cafés, tavernas and more. The website is in both Greek and English. 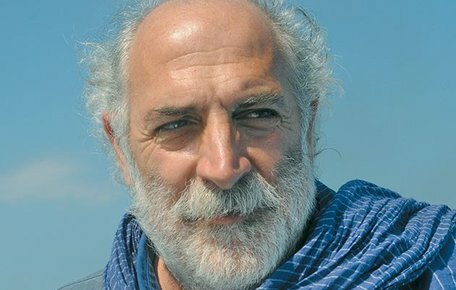 Mister Pittas gathered his 30 years of research into his 6 books: Signs of the Aegean (2007), Religious and Folk Festivals in the Aegean (2011), Paros – A Walk through Place and Time (2008), The traditional cafés of Greece (2013), The Athenian Taverna (2009) and Treasures of Greek Gastronomy (2014). 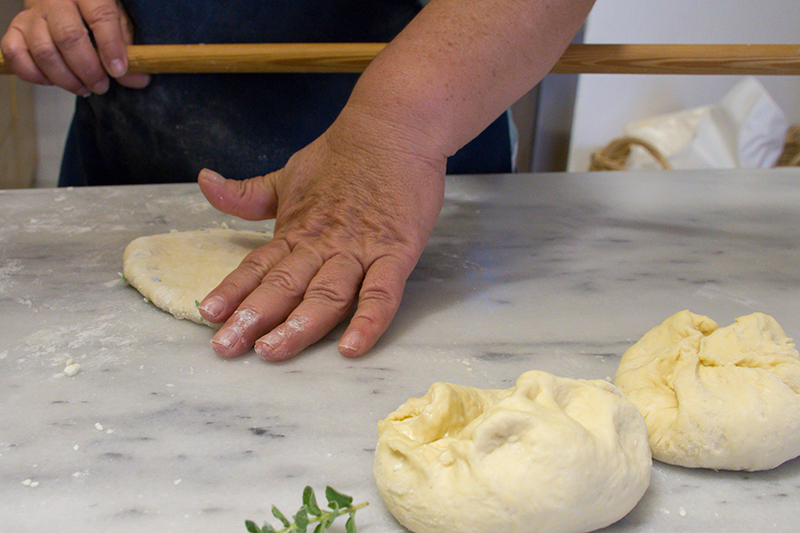 Travelling Poros for the Greek Gastronomy Guide, Mister Pittas walked into the Odyssey one beautiful morning. For me it was a big honour to meet the man himself and even more that he came to Odyssey. Working so many years for the gastronomic identity of Greece, the man is a legend by now. He has inspired me and many Greeks to do more with our gastronomic heritage and the enjoyment of it. A bit nervous with his visit I had risen early. Among other things, I prepared him fresh Tiganopsomo for breakfast, a fried bread with feta and herbs. 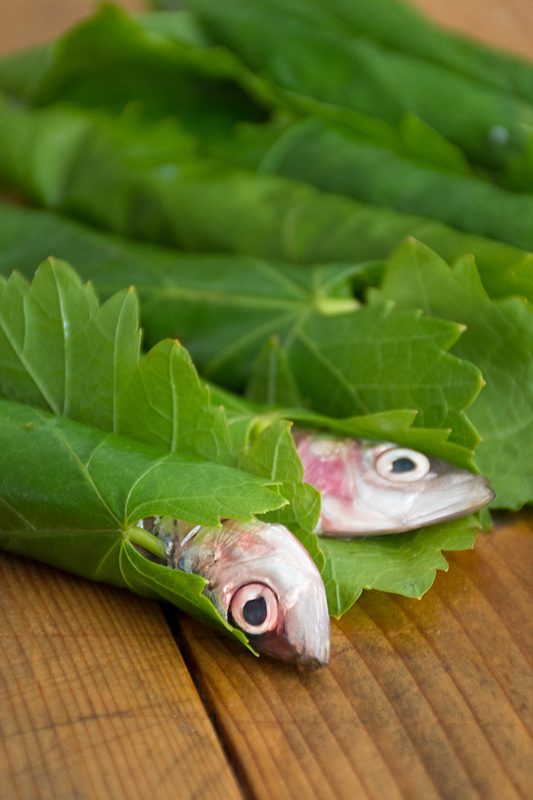 Later on I prepared a small fish recipe for Mister Pittas: Grilled sardines in grape leaves with lemon-sauce. I chose this dish because I find it very special. Firstly because it’s so different, secondly because the basic ingredients are so characteristic of Poros and our traditions; small fish with fresh lemons and olive oil from the farm. This fish recipe is easy to make and full of omega-3. I grilled the sardines on the barbeque for the best taste! 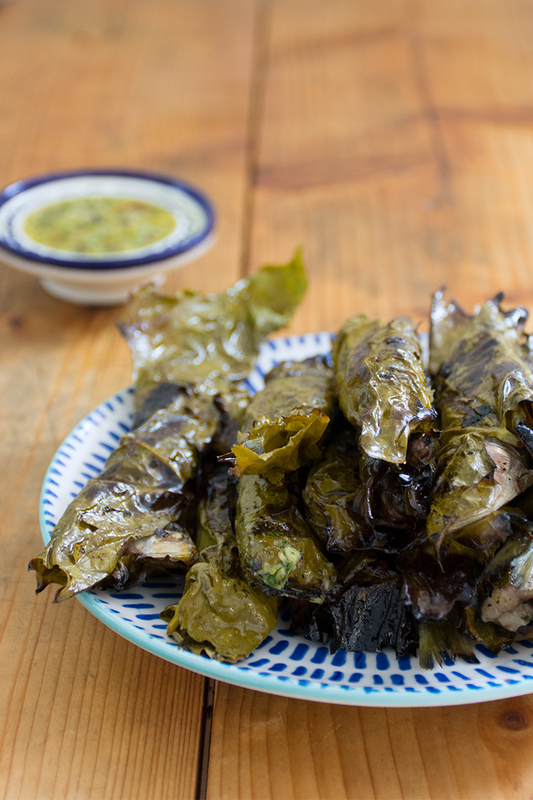 The grape leaves give the sardines a very interesting flavour. The lemon-sauce that is a true ‘taste sensation’ adds the final touch. The sardines are stuffed with the lemon-sauce before they are wrapped and the sauce is added on top, once on the plate. All together it makes this fish recipe so delicious! Characteristic of the lemon-sauce is the lemon from Poros, from which mostly the outside is used. The other ingredients are red pepper, salt, olive oil, fresh garlic, bread and mint. It’s important to salt the sardines before you wrap them. When I said goodbye, I hoped to see Mister Pittas again. Guess what, I will tomorrow, during the Greek Breakfast Event in Athens! During this event I will promote the Poros breakfast together with 2 other cooks from the island. You can read all about it on my next blog! On there I will also share the recipe for the Tiganopsomo bread that I made for Mister Pittas. If you want to see the article that Mister Pittas wrote about his visit to Odyssey, click here! 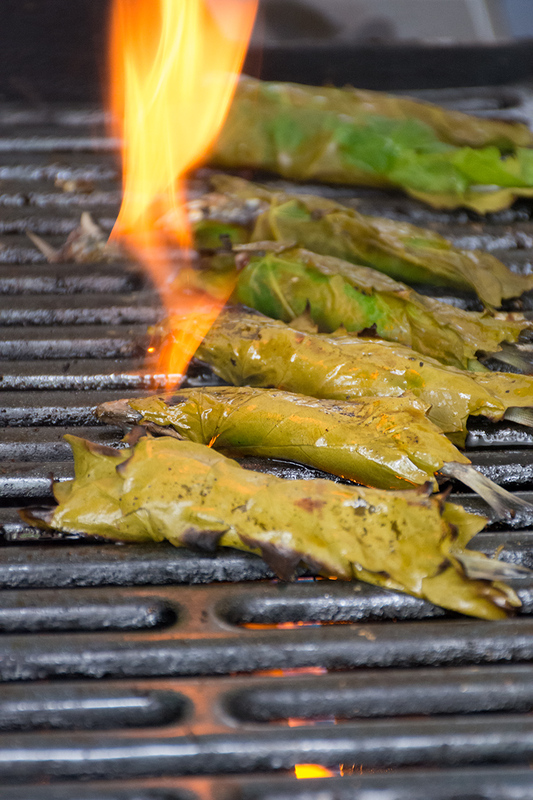 This is how you make this wonderful recipe: Wash the grape leaves thoroughly and let them dry. Wash and clean the fresh sardines and use the juice of one of the lemons to sprinkle on top of the fish. 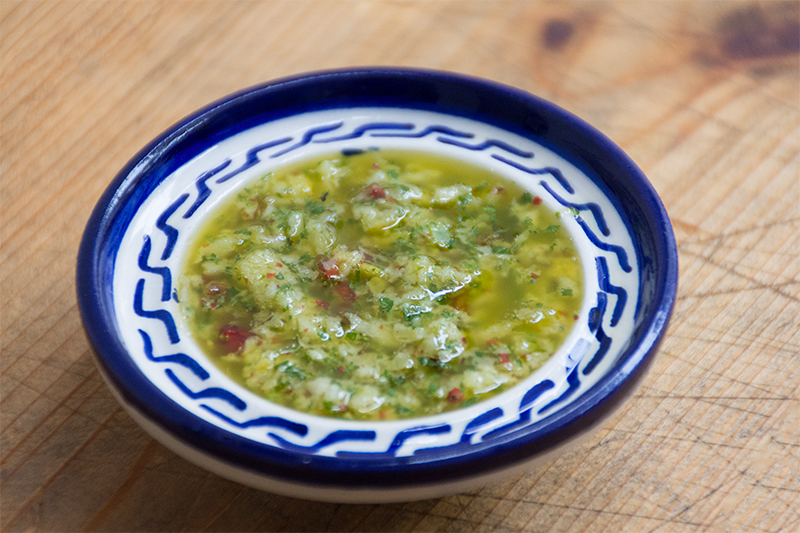 Mix 2 tablespoons of olive oil and the salt in a small bowl. Add the sardines and let them marinate for about 10 minutes. Prepare the lemon-sauce. 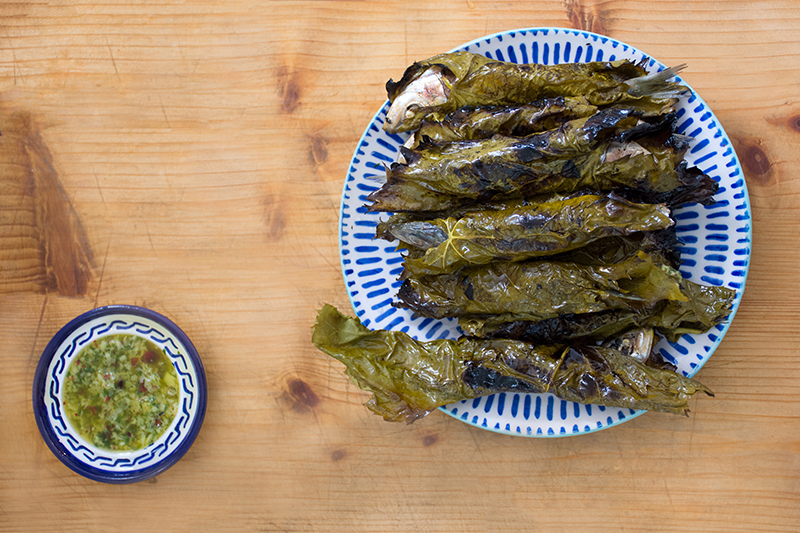 Fill each sardine with this sauce and wrap each one in a grape leaf. Turn on the grill and grill all the stuffed sardines on each side for about 4 minutes. Serve the sardines with the rest of the sauce. I like some extra lemon on top, but try that first, as it is a matter of taste! Wash the grape leaves thoroughly and let them dry. Wash and clean the fresh sardines and use the juice of one of the lemons to sprinkle on top of the fish. Mix 2 tablespoons of olive oil and the salt in a small bowl. Add the sardines and let them marinate for about 10 minutes. Mix in a blender 1/3 of 1 lemon with the skin (without pips), the mint, garlic, olive oil, salt and red pepper. Mix it very well until it becomes a homogenous mixture. Take 1/3 out of the blender and keep it aside for later. Add the bread to the mixture and mix it until it becomes a much thicker sauce. 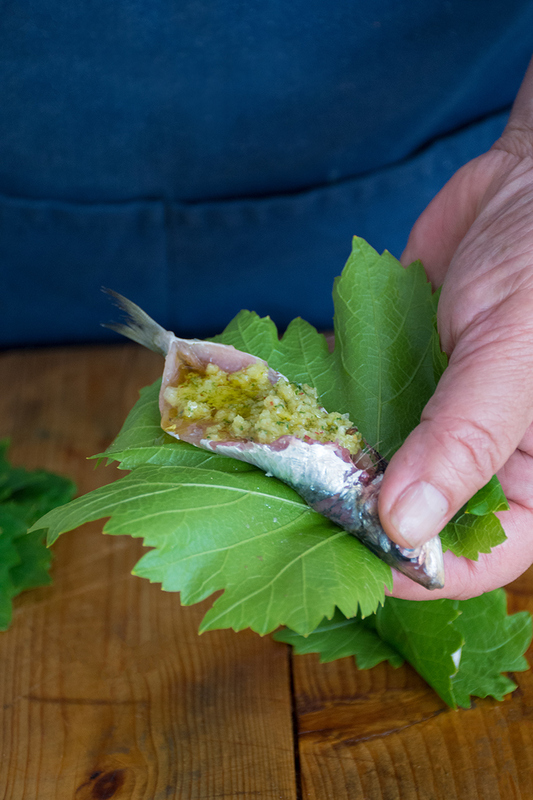 Fill each sardine with this sauce and wrap each one in a grape leaf. Serve the sardines with the rest of the sauce. I like some extra lemon on top, but try that first, as it is a matter of taste.